By tomorrow, when I’ve finally clicked through the hundreds of emails I am sure are on their way to my inbox, somewhere it will be said that Giving Tuesday was a great success; more money was raised this year than last. And perhaps that will be true. I hope so. Nonprofits can use all the funds they can raise. But I fear it will be only part of the story. The story that too many nonprofits will not look into: to wit, is this new money that came in because of Giving Tuesday, or this recycled dollars that are given on Giving Tuesday instead of at their usual time. Every year we are inundated with reports saying charitable giving is up or down; giving via this or that has increased/decreased, this shiny new thing is what you should focus on. And we, more fools, take this information to heart and don’t do the hard work of actually considering if it is true for us. Too often we have a tendency to look at each fundraising technique alone—has it brought in more or less than last time? But that is not the real question. 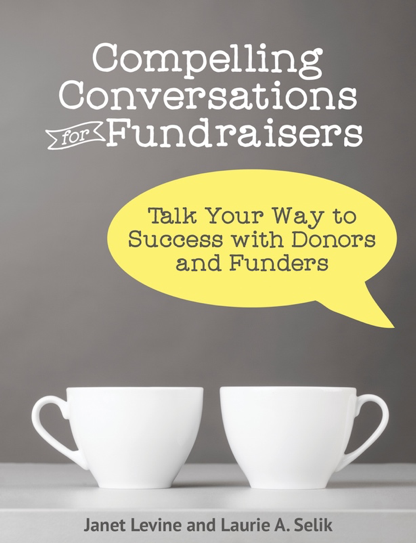 A successful fundraising program should be comprised of a number of different techniques that reach out to a broad pool of prospects and donors. Looking at one without considering the others is not useful nor will it tell you the whole story. You must assess if one technique took from another—if donors are spreading out their giving across techniques and if so, is that a good or a bad thing. For example, if the Smiths have given you $1000 a year every year for the past 5 years for annual giving and this year gave you $250 on giving Tuesday, before you claim that a Giving Tuesday win, you must consider if their other annual giving stayed at $1000—so now they have donated $1250—or if the end of year appeal (where they used to give you $1000) now brings in $750—meaning that there annual gift remains $1000. Or worse. If now that they’ve clicked through your Giving Tuesday ask, make a $250 gift they believe they are done, and don’t bother to give to your end of the year appeal. It’s not just giving Tuesday, of course. It’s any time a donor choses to make a gift because of one solicitation and ceases to give to another. This is often the problem with organizations are having a campaign. Unless you carefully cultivate your annual donors, explaining how their ongoing annual support is critical and you are hoping they will consider an additional gift to the campaign or a special project or to make their planned gift, you may find that while the campaign is doing very well thank you very much, the money needed to keep your organization doing what it does is suffering. Making sure this doesn’t happen means making sure you are cultivating and soliciting integrated asks. That is, where you are talking with your donors (note that word with, not AT) about their total gift—the one that covers annual operations, the special event tickets or tables, sponsorships, campaigns and, yes, Giving Tuesday. Making separate and discrete asks that don’t show how this solicitation fits in with the whole development plan can hurt your total picture. Moreover, it can have you spending time on the things that are least effective and bring in the smallest amounts rather than on what really helps to move your mission forward. Janet Levine Consulting works with nonprofit organizations, helping to ensure that your fundraising program is effective and successful. learn more at http://janetlevineconsulting.com While there, sign up for the monthly newsletter and contact Janet for a free, 30-minute consultation and see how she can move you from mired to inspired. This entry was posted in fundraising and tagged annual giving, Giving Tuesday, integrated asks. Bookmark the permalink.